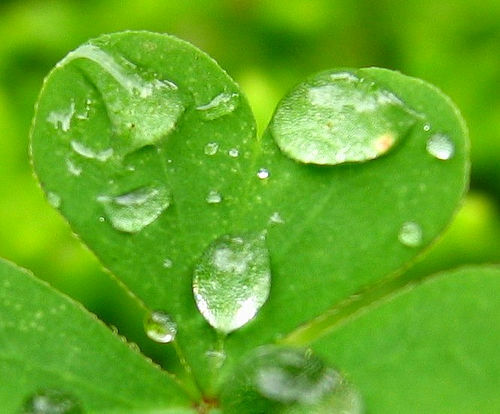 Much like January, March seemed to drag on FOREVER. I feel like I read a whole library of books, and there were several standouts, including one that’s a new favorite. 1. The Secret Year by Jennifer Hubbard – I wish more of this story had been set during the time of Cole and Julia’s secret relationship. That said, I did enjoy Cole. He’s the supposed to be a bad boy from the flats, but really he’s sensitive and relatable. Not the cliché he could have been. ***2. Invincible Summer by Hannah Moskowitz (courtesy of Simon and Schuster eGalley) – Thought about this one long after I finished reading. The beach setting was fantastic and the dysfunctional family dynamics were so well written. Chase “Everyboy” McGill ended up becoming someone I wish I really knew. ***4. Fixing Delilah by Sarah Ockler – While Twenty Boy Summer is still my favorite Sarah Ockler novel, I thought Delilah was excellent. Loved the summery setting, loved the kooky cast and family secrets, loved the steamy romance. I’m such a Sarah Ockler fan; I’ll read anything she writes. ***5. Confessions of the Sullivan Sisters by Natalie Standiford – While I think “quirky” is over used in YA literature, it’s the perfect word to describe this family, and this book. The writing is fantastic. Funny at times, heartwarming, and completely honest. Confessions is different from what I normally read… in a good way. ***6. Where She Went by Gayle Forman (courtesy of an ARC) – I went into this book with one part excitement and two parts trepidation–I didn’t want anything about it to ruin my love for If I Stay. Luckily, Where She Went did the near-impossible: improved Adam and Mia’s story exponentially. I loved Adam as a narrator, and I loved how Gayle Forman was brave enough to take the story to difficult places. If you’re an If I Stay fan, I don’t think you’ll be disappointed in this follow-up. 8. Sea by Heidi R. Kling – For some reason this one was hard for me to get into, but when I finally did I was sucked in. The Indonesian setting was very cool, and the love interest, Deni, was so different from the usual YA boy. I’m normally not a fan of bittersweet endings, but somehow Sea‘s was fitting. ***9. Cryer’s Cross by Lisa McMann – I’ve never read anything by Lisa McMann so I had no idea what to expect. I was very impressed. This story is as creepy and weird as the book’s cover, and the protagonist, Kendall, is very cool. Also, cheers to the super hot and sometimes humorously cold romance between her and Jacian. From the book jacket: In this lyrical, absorbing, award-winning novel, nothing is as it seems, and every clue leads to more questions. At age eleven, Taylor Markham was abandoned by her mother. At fourteen, she ran away from boarding school, only to be tracked down and brought back by a mysterious stranger. Now seventeen, Taylor’s the reluctant leader of her school’s underground community, whose annual territory war with the Townies and visiting Cadets has just begun. This year, though, the Cadets are led by Jonah Griggs, and Taylor can’t avoid his intense gaze for long. To make matters worse, Hannah, the one adult Taylor trusts, has disappeared. But if Taylor can piece together the clues Hannah left behind, the truth she uncovers might not just settle her past, but also change her future. Jellicoe Road joins If I Stay, The Sky is Everywhere and Stolen as one of my all-time favorite YA novels. I heard more than once, “The first hundred pages are strange and confusing… STICK WITH IT!” I’m so glad I did. Two stories woven together, mystery, romance, perfect teen dialogue… I loved this book more than I can adequately describe… but I’ll try. First, lets talk about Jonah Griggs. It’s almost as if he was written just to make me swoon. There are a lot of YA guys I dig, but Jonah… He’s exactly my type. Rugged, brave, stubborn, loyal, sort of crass and super sweet with Taylor. Plus, he’s a cadet, he enjoys tramping around in the woods and he wears fatigues. What can I say? I’ve been married to a soldier for almost eight years. It’s my thing. And Taylor. She’s severely lacking in people skills, but at the same time she’s awesome. No nonsense, vulnerable and erratic. I loved her interactions with her friends Raffy and Santangelo, but I especially adored any scene she shared with Griggs. She forced him to confront his fears, just as he did to her. She challenged him, just as he challenged her. Neither of them ever once backed down from the layers of conflict that stood in their way. They’re a perfect match. Jellicoe Road‘s mystery and the way it unfolds over two separate storylines, decades apart, is genius. While I knew early on that somehow all the characters and plotlines would eventually come together, the conclusion was a true surprise. Melina Marchetta has a knack for connecting even seemingly insignificant threads in the most satisfying ways. Fair warning: Jellicoe Road‘s plot, pacing and writing might make you want to quit reading forever. When I finished, I was sure I’d never find another book that moved me the way this one did. The mystery is perfectly layered, the setting (Australia!) is all-consuming, and the characters got right inside my head and have been camping out there ever since. And if you’re a writer, well, be prepared to feel completely incompetent. Still, I highly, HIGHLY recommend this book. So glad I’m not the only one who thought March took too long to leave. When I read The Secret Year, I had the same thought. I LOVED Jellicoe Road. And, like you, when I finished the book I felt like the worst writer in the history of writing. It’s best to follow Jellicoe Road with a bad novel before you start writing or revising–or else you might quit. Luckily I wasn’t drafting at all when I read it… otherwise I would have hit DELETE and drowned my sorrows in a bowl of ice cream. Love that book! I need to read JELLICOE ROAD, and TWENTY BOY SUMMER. And INVINCIBLE SUMMER! So glad you liked WHERE SHE WENT–I loved it. If you loved WHERE SHE WENT, I have a feeling you’ll love the three you mentioned above. Some of my favorites! I really must must read this. Melina Marchetta’s first book, Looking For Alibrandi, was one of the defining books when my friends and I were coming through high school. She captures Australia so beautifully. I’ve taken far too long to get to Jellicoe Road. I’ve yet to read an Australian author I DON’T love. Lucy Christopher’s STOLEN is another of my favs. I haven’t read Looking For Alibrandi yet, but I’ll definitely add it to my list. I also want to read Saving Francesca. Okay- I had not heard this about the first hundred pages of JR. it has been so highly recommended, but I haven’t been able to get into it yet. Will keep at it– thanks for the recs! You read a lot of good books in March! I know! I didn’t really realize how many until I started listing them. Hopefully I’ll do as well in April. I am totally in love with Jenny Han’s Summer trilogy. I think she just became one of my favorite contemporary YA authors. It was definitely “sigh” worthy. Cryer’s Cross was my first McMann book too. Now I have to read Wake. Invincible Summer was good too. I just bought Jellicoe Road. Didn’t realize it was so complex, but you’ve prepared me for it. Twenty Boy Summer is on my shelf waiting…lol…looks like we’re on the same trajectory with the reading…great minds think and “like” alike!! I’ve known you have great YA taste since our email conversation a few months ago about that very popular contemporary we both disliked. 🙂 Glad you loved the SUMMER series. It’s one of my favorite contemporary series as well. 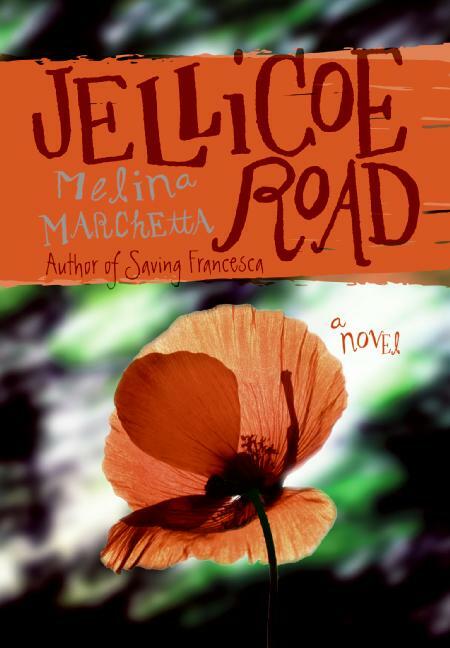 I’m excited to hear what you think about JELLICOE ROAD… happy reading!